My dissertation is finished and available for download here. 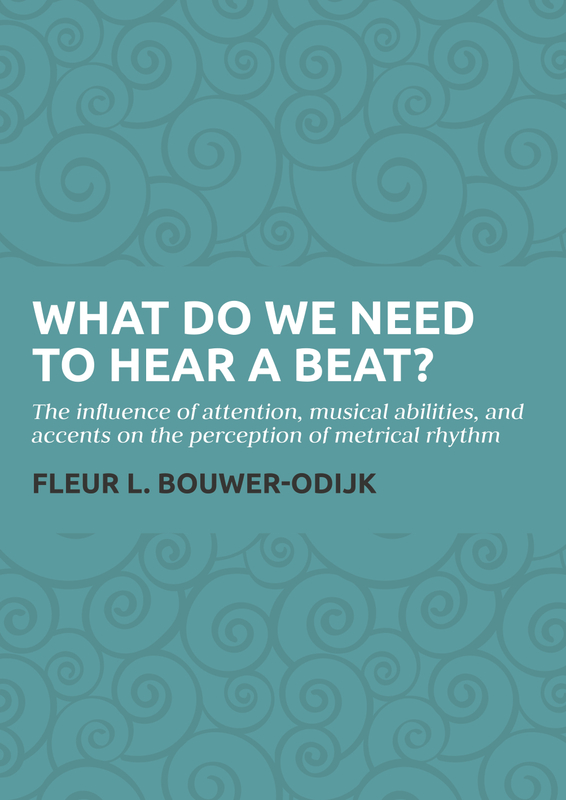 I will publicly defend my dissertation on Wednesday, June 8th, at 11.00 h in the Aula of the University of Amsterdam. The defense ceremony is a public event, which anyone interested is very welcome to attend! Have a look what my dissertation is about under dissertation. On the afternoon of Tuesday, June 7th, from 14.00 till 17.00 h, we will host a mini-workshop on beat perception and temporal predictions. You are cordially invited to join us for an afternoon of inspiring talks about these topics. Confirmed speakers include Dr. Jessica Grahn, Prof. Dr. Henkjan Honing, Prof. Dr. Sonja Kotz, Prof. Dr. István Winkler, and Dr. Rebecca Schaefer. More details can be found under Workshop 7th of June. Surrounding the festive event of my defense, we will organise a workshop on beat perception and temporal predictions. You are cordially invited to join us for an afternoon of inspiring talks about these topics. Confirmed speakers include Dr. Jessica Grahn, Prof. Dr. Henkjan Honing, Prof. Dr. Sonja Kotz, Prof. Dr. István Winkler, and Dr. Rebecca Schaefer. The workshop will take place on the afternoon of Tuesday, June 7th 2016, from 14.00 till 17.00 h.